A few weeks ago when Guardian was having a 40% discount off all masks, I was sorely tempted to get more sheet masks as a box of Dr. Jou/Dr. Morita masks was considerably cheaper than their normal 15%-20% discount. It’s not often that they give such a substantial discount on their masks and I must say it was a very generous offer. 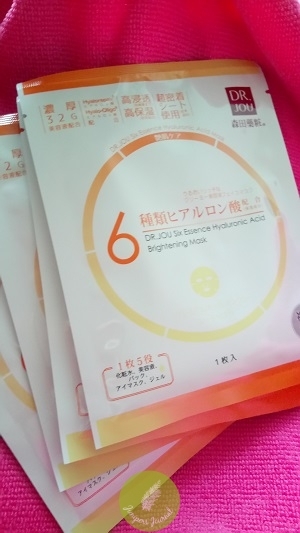 However I still had 2 boxes of Dr. Jou Six Essence Hyaluronic Acid Brightening Mask. Like all the other Dr. Jou masks I have tried this year, I like the thin texture and it’s so saturated with serum that the mask remains moist after half an hour of application. Of course, my skin is much softer and brighter after each use. It’s an excellent sheet mask which doesn’t break the budget. 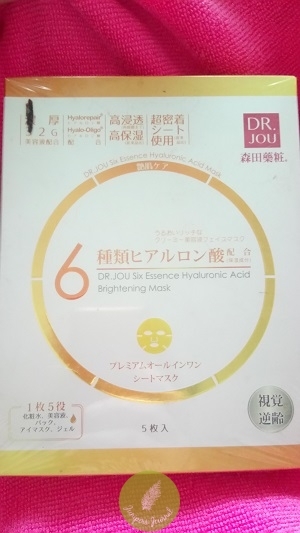 Dr. Jou Six Essence Hyaluronic Acid Brightening Mask normal price is RM38.90/5s.